Long in the past, as we're deep in the depths of a hard lengthy winter of old. 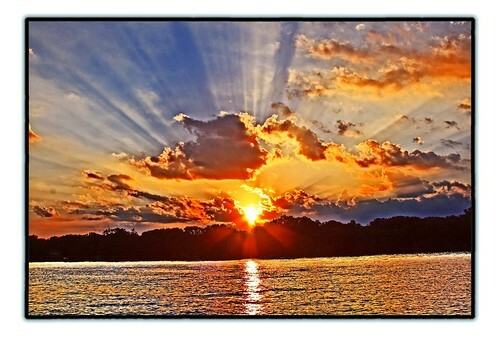 I recall being out on the water in the summer heat enjoying beatiful sunsets like this one. Could not resist the suns rays across the rapidly approaching evening sky.